Christmas in the Philippines isn’t just held on the 25th. There are also the Christmas parties that happen way in advance. 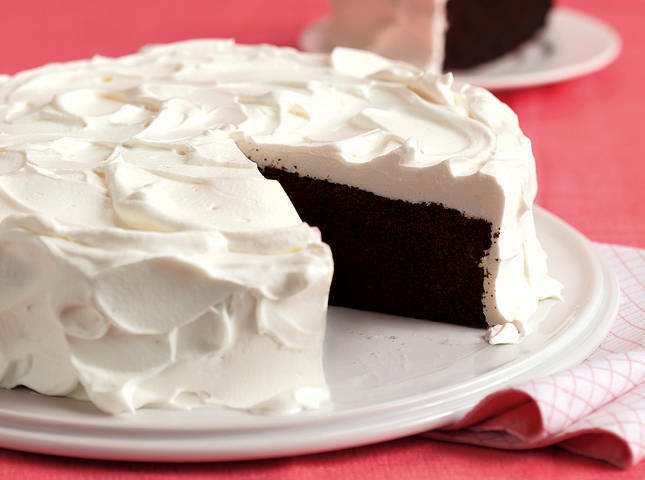 To ready your recipe book and your wallet, we’ve rounded up affordable, delicious cake recipes you can bring to potluck parties and even cracked the numbers to make your life easier. "Affordable" doesn’t mean contributing a forgettable dish. If you want to serve the star of the spread, you can’t go wrong with a delicious cake. So, if you're strapped for cash and have time on your hands, you can make a cake that makes everyone’s faces light up the moment it’s served. The best news yet is that you don't have to shell out a small fortune. We’ve come up with this indispensable list of holiday-approved cakes that are all impressive, delicious, and cost-effective to make to bring your next potluck party. 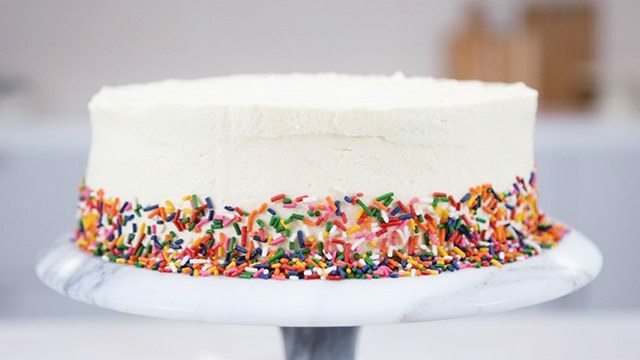 It’s hard to resist the joy that radiates from a colorful, sprinkles cake. Here, we’ve opted for a more simply coated cake. But if you have kids coming over, here’s a grand idea: cover the whole thing in sprinkles! Want to up this simple cake’s flavor profile? We suggest using your one holiday-splurge and buy yourself a small bottle of real vanilla extract. It's expensive if you must know, but it's not only worth every peso, it also has a longer shelf life than the imitation vanilla extracts. There is just no failing with chocolate cake! 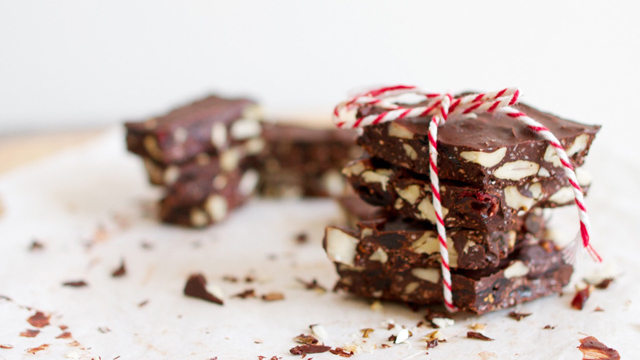 Everyone’s got a deeply rooted childhood memory with chocolate that makes it an absolute winner for any crowd. 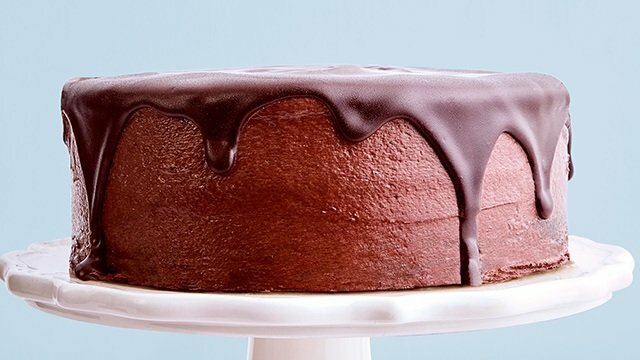 With an adorable and easy to do chocolate drip icing and a hint of coffee to boost the chocolate flavor, this cake is a treat for both your palate and your eyes. Yema is just one of those go-to comforting sweet treats that remind us of dipping our fingers into condensed milk or licking a cellophane clean of the crunchy caramel-y bits and the gooey, sticky inside. 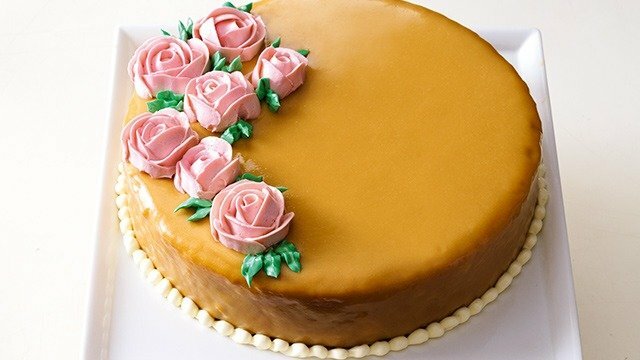 With this yema cake recipe, you get to transport your loved ones and friends to those warm, fond childhood memories. 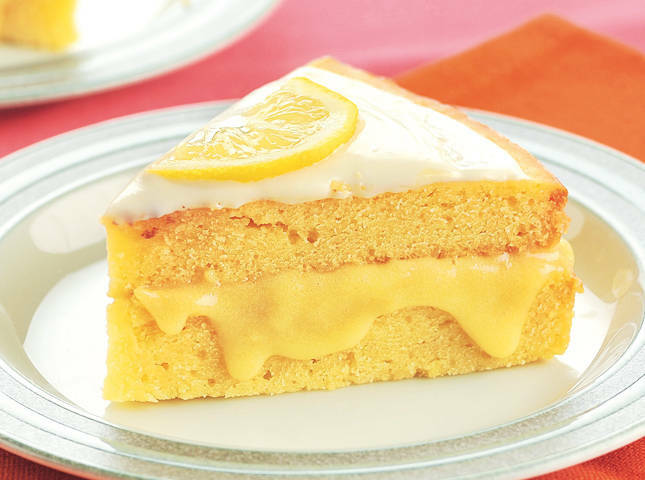 When you want to make a cake but don't have a recipe on hand, you won't go wrong by using a basic yellow or butter cake mix. Have you ever sat down and thought about caramel? Of course, you haven’t, but you should! 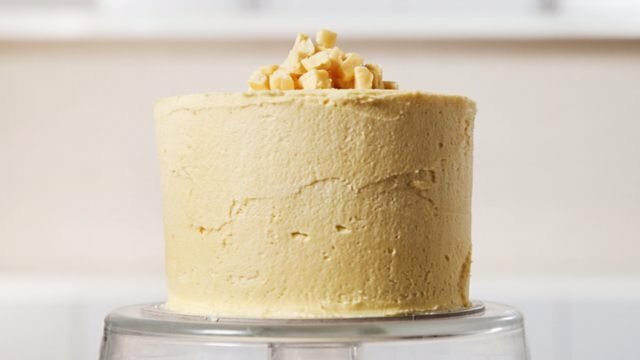 With a little kitchen alchemy, you can transform sugar, cream, and butter into this beautiful, amber-hued, and creamy bittersweet concoction that is always supremely delicious. 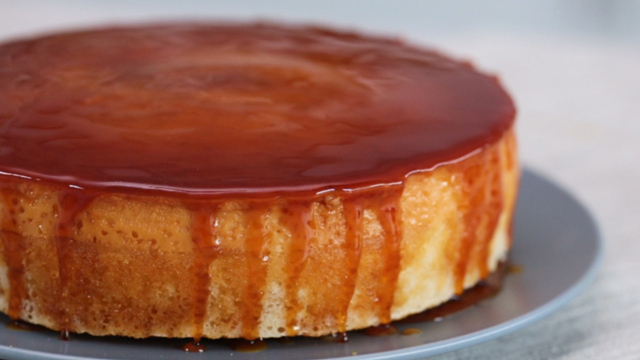 For this recipe, a simple, light chiffon cake is completely coated with a glossy caramel that’s enough to make anyone giddily happy. What’s the real magic in this recipe? It’s the most affordable on this list! 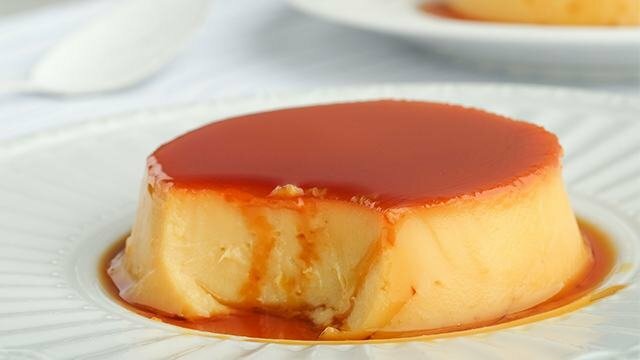 Potluck parties usually have puto and leche flan, but it’s time to live a little and combine the two for an unforgettable dessert. Apart from being a delicious conversation piece during dinner, we’re sure you’ll also be talking about how you made it! This cake is baked in one pan but somehow churns out a double layered cake. Experience the thrill for yourself when you flip your cake pan onto a plate and slowly unveil your successful creation. This is the most “expensive” cake on this list but it sure is worth it! 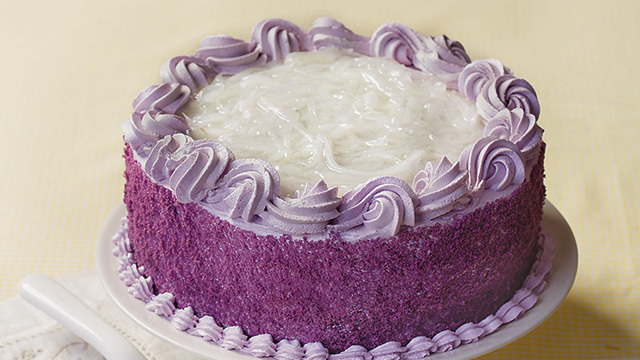 Turn those beloved holiday Filipino flavors of ube and macapuno into this beautiful, colorful cake. What makes this cake so great is that ube and macapuno by themselves are already such a pleasure to eat on their own. Throw them together and turn both into this beautiful cake to share with everyone at your party. There are so many kinds of pastillas you can buy from pastry and souvenir shops and honestly, all of them are good. 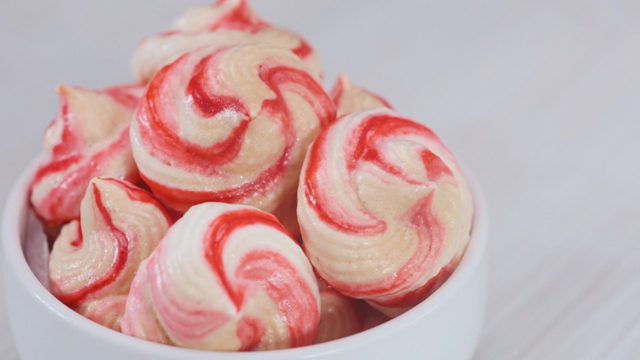 But you know what’s even better than having them as tiny wrapped creamy treats? Pastillas in cake form. From that one-minute miracle of enjoying a small roll of milky pastillas, you extend the experience when you take a bite of this cake instead. 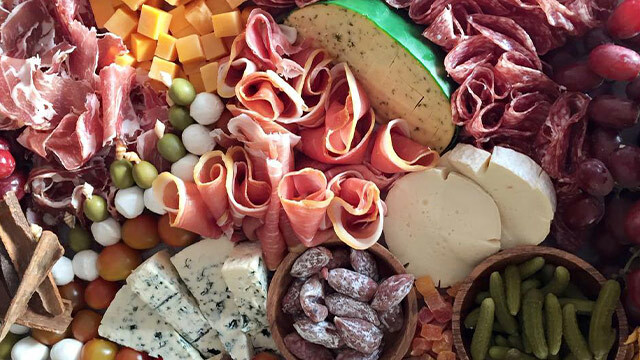 Give everyone that same lengthened enjoyment when you make this for your next party. Put on your apron and start preheating your oven because you don’t really need to wait for Christmas to make your friends, loved ones and yourself happy (especially when cake this delicious are this affordable). In any case, a little time, a small budget, and an extra portion of love will go a long way in making these cakes a crowd pleaser. Actually, you don't really need the holidays as an excuse to make these awesome cakes. Go ahead and indulge! There is, after all, always room for dessert—no matter the season. Savings Tip: For this list, we substituted real butter with compound butter for the same amount for these recipes require. This will work just as well and still churn out really delicious goods. However, if budget is not your issue and you want to elevate the quality, texture, and taste of your goods, use real butter which will add P50-60 per cup of butter to your costing. When will butter compound not work? Use real butter when a recipe calls for browned butter.